I'm not typically one to toot my own horn, but I am really proud of a recent feature I had and wanted to share! Jezebel magazine recently named me one of Atlanta's fiercest interior design bloggers! 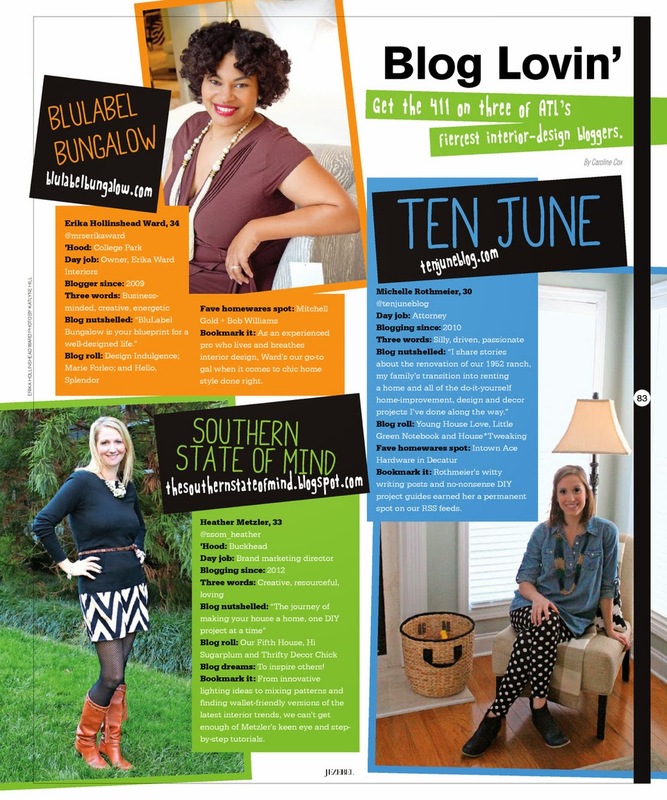 And, to make matters even more exciting, I was featured among two other amazing gals- my sweet friend Erika Ward from BluLabel Bungalow and a new blogging friend, Heather Metzler from Southern State of Mind. These Atlanta girls are amazing, be sure to check them out. You can click on the image to zoom in and read the article. Jezebel is an Atlanta based publication that I've been reading forever, so this is a huge thrill for me. Unfortunately, there was a snafu in the print edition and mine and Heather's info was switched which means poor Heather has my photo next to her info and, therefore, looks six months preggo! Oops. It's still pretty exciting though and I truly appreciate the opportunity. Okay, enough about me. How's your week going? Have you finished your Christmas shopping? Enjoying all of the fun Christmas activities?! Congratulations! 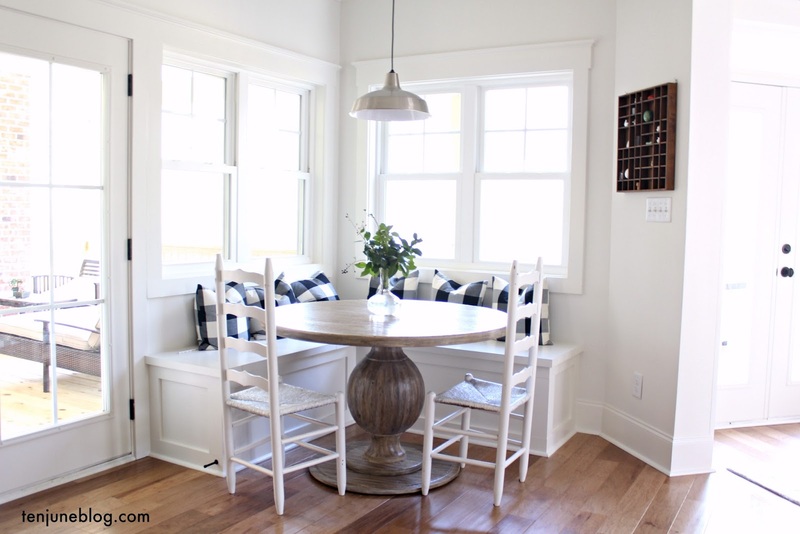 So great to see you and your great blog recognized! No, I am not done with my shopping and now it is snowing AGAIN in NJ. This is the craziest winter so far!...actually winter doesn't even start till December 21st, does it? Ugh! WAY TO GO!!!!!!!!! toot away, sista! your horn i mean. I am so so proud of you! You are such a rock star. Well deserved. And I love your new dining room benches. So cute. Congrats, Michelle! And Merry Christmas to you and your sweet family!